I think you’ll find some of the results of the 2014 EMF Survey of Embedded Developers (864 respondents) quite interesting. For example, you can see in Table 1 the driver interfaces used by medical device developers compared with the overall embedded industry. 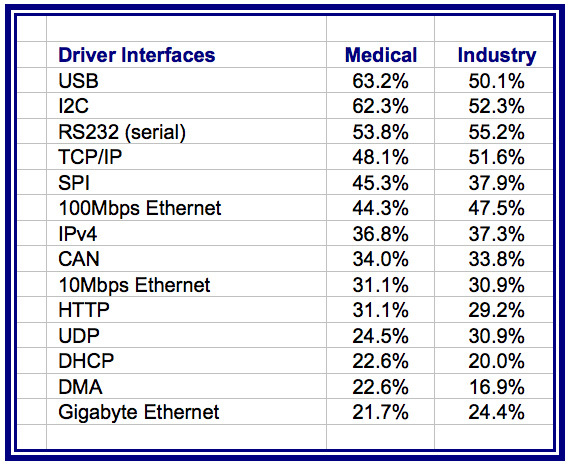 In 2014, USB remained the leading choice for driver-interface use among medical device developers, substantially higher than TCP/IP and RS-232 (serial). The question arises as to whether USB is a better choice from a cost containment viewpoint. Such factors as time-to-market, number of developers required per design, and how the cost of delays (behind schedule and cancellations) contribute to the cost of development. 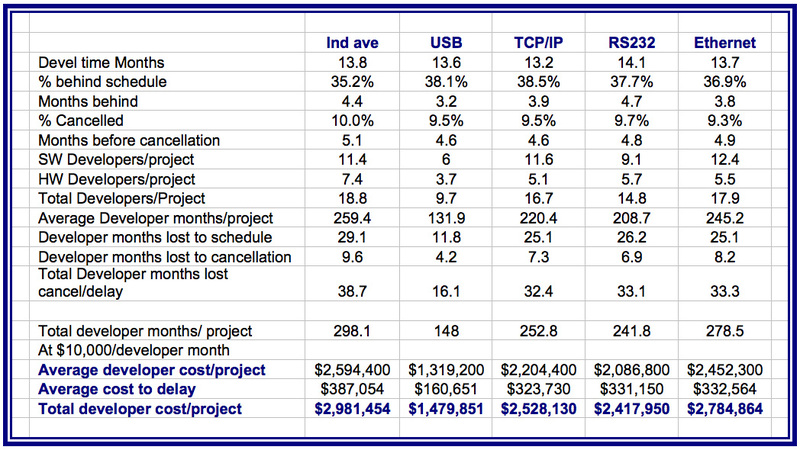 Table 2 presents a development cost comparison between USB, TCP/IP, RS-232, and Ethernet. Making some calculations from the data presented in Table 2, it can be seen that USB developments have a cost of development advantage of nearly 67 percent. A complete paper, “Wireless Protocols and Driver Interfaces Used by Medical Device Developers and Other Verticals” is available for free download at www.emdeddedforecast.com.